We get to the back woods on a small trail used as access to property awaiting human development. 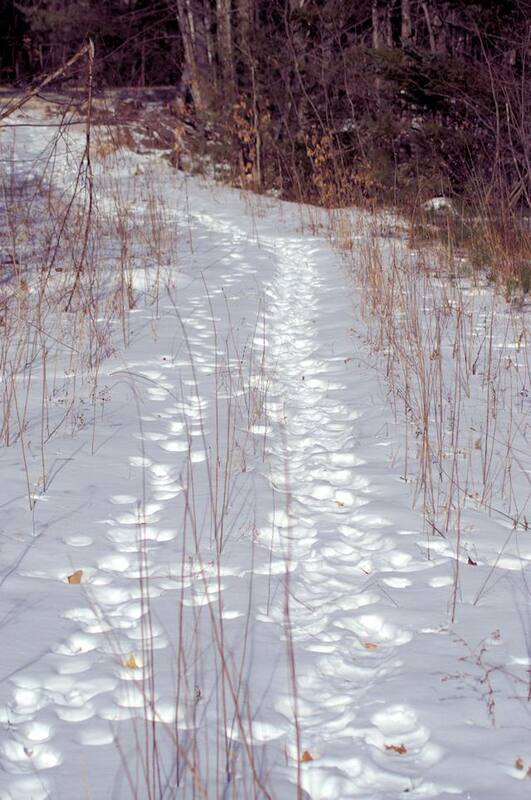 The animals use the trail to get to the various bogs and clear cuts scattered among the trees; the property is as developed as they need already. 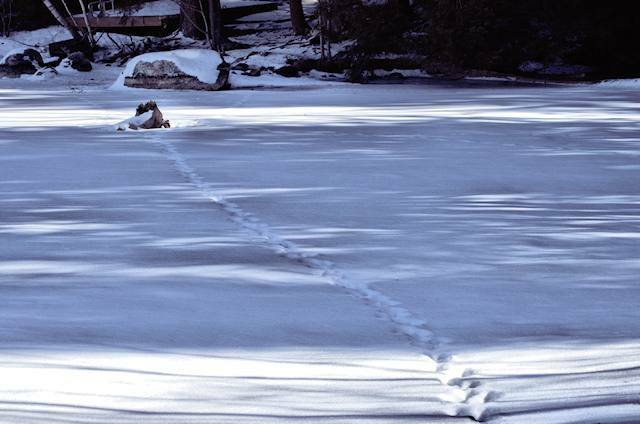 Likely deer tracks on a cove of the pond. 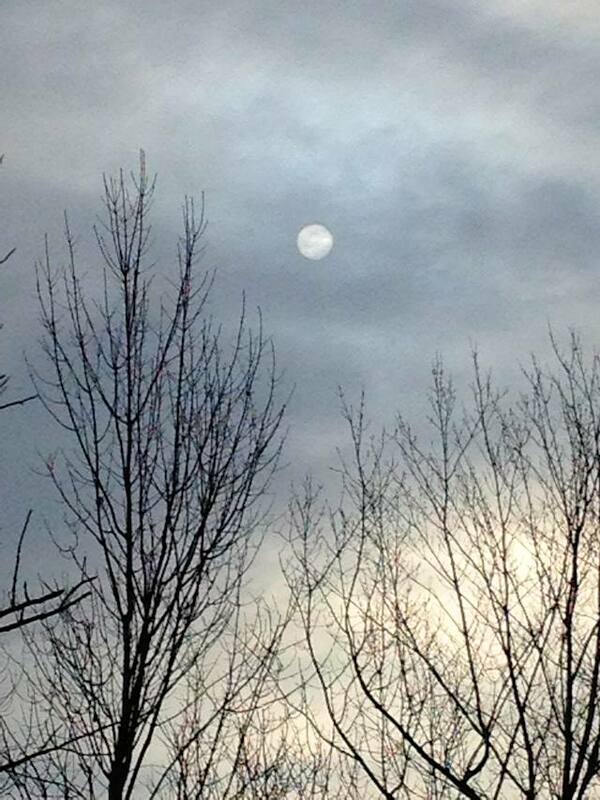 During a recent mid-morning, the sun was just barely visible through the fog and low-level clouds. I almost thought it was the moon for a minute.